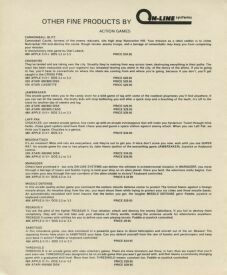 The inventor of both the graphic adventure (with Mystery House) and the animated adventure (King's Quest) Sierra On-line (formerly On-Line Systems and Sierraventure) have set milestone after milestone in computer gaming history. Their animated adventures were always fun to play and had great graphics and lots of interesting puzzles, mixed with humor, to keep you on your toes. Unfortunately, recently their ideas have begun to dry and Sierra Studios' good games are now few and far between. 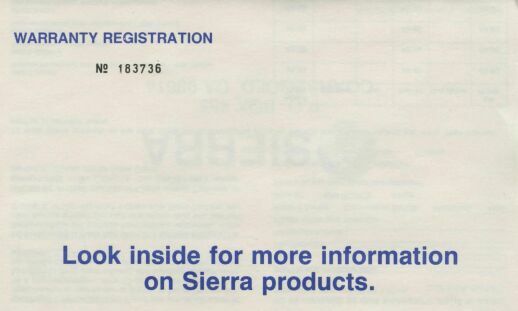 But anyone who has ever played a game form Sierra's Quest Series is sure to remember it fondly for a long long time.